Organizing engagements that bring regional stakeholders together to present, discuss and exchange ideas having to do with sustainable business principles and practice. Creating a platform for sustainable business professionals, entrepreneurs, government representatives and other stakeholders to exchange experiences having to do with the practice of sustainable business. Providing a regional forum for sustainable business stakeholders to connect and build relationships. Developing unique resources, such as case studies, records of engagements and related materials that stakeholders can use to learn about sustainable business practices. To be the organization in Southeast Michigan to whom business leaders, managers, associates and entrepreneurs turn to connect, discover and learn about sustainable business practices. SMSBF creates value through its network of stakeholders and by leveraging the connections we make, the things we discover and the knowledge we gain; we develop relationships; organize symposia and other forum engagements and related activities. Our work entails getting to know the regional entities who are pursuing sustainable business practices, which leads to a unique understanding of how this is manifest within the region. SMSBF seeks a diverse spectrum of viewpoints on the ways in which sustainable business ought to be practiced; we organize symposia and discussion forums around these viewpoints. All of what we do means SMSBF is a unique resource for understanding the ways in which sustainable business is practiced in Southeast Michigan. Mike brings more than thirty years of industrial experience with him to SMSBF. He’s held positions from lab technician, to senior management with Fortune 500 corporations and large multi-nationals. While with AkzoNobel, Mike was instrumental in developing sustainable business strategies for the collision repair industry. After leaving the corporate world more than five years ago, Mike has dedicated himself to advancing triple bottom line – people, planet and profit – business practices within Southeast Michigan. Mike is excited to work with the SMSBF on advancing and growing the triple bottom line economy in SE Michigan. Amplifying and promoting the emerging network of businesses that are creating triple bottom line value is Mike’s passion. He’s excited to be part of this movement and serving the SMSBF. Mike holds an AAS degree from Ferris State College and a BS in chemistry from Lawrence Technological University. He also holds a professional certificate in sustainable business from Aquinas College. Dylan is a graduate of the University of Detroit Mercy School of Law (J.D.) and Siena Heights University (B.A. – Business Administration). He is a partner at Hubbell DuVall, PLLC where he focuses on business law, estate planning and probate, social security disability, and worker’s compensation assisting clients with their transactional work and litigation needs. During law school Dylan interned for the National Wildlife Federation at the Great Lakes Regional Center in Ann Arbor, MI where he was first introduced to sustainability and had the opportunity to work on the Great Lakes Water Compact. Dylan lives in Canton, MI with his wife Julia and two children. He enjoys hunting, fishing and habitat management as well as spinning (yes, on a spinning wheel) and weaving. He is a fan of the Celtic Soccer Club where his son plays and looks forward to his daughter playing with the club as well. Originally from the United Kingdom, Rebecca started her career in the hospitality industry working for Marriott Hotels. She then went on to work in the charitable sector, supporting mental health advocacy groups. She started her first social business in 2006. In the coming years she carried out a merger with a nationwide nonprofit then started and oversaw seven further social enterprise companies as Managing Director of the group’s social enterprise arm. Rebecca sat on the Board of several social enterprise membership organizations and travelled the country giving presentations, training and mentorship in the social enterprise sector. Rebecca moved to Michigan in 2017 and is leading the Social Enterprise Alliance Michigan Chapter, as part of the national organization focused on supporting and developing the success of social enterprise businesses in the US. She owns a company in Florida and an L3C in Michigan. Patrick is the Director of ECT-Ann Arbor’s Landscape Architecture/Green Infrastructure Studio. 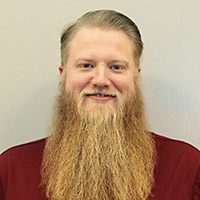 His work experience includes site master planning, design and construction administration of corporate and commercial sites, public recreation land, non-motorized trail planning and development, Native American lands, natural areas restoration including streams and wetlands, and whole systems farm planning. Patrick is well versed with Midwest native plant communities, green stormwater infrastructure, and land sculpting, which allows ecosystem services integration for projects. Patrick brings a pragmatic eye to the design and planning process. 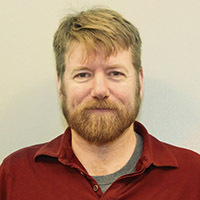 His combination of knowledge about Great Lakes native habitats, site programming and social interfaces leads to translating that knowledge into design criteria for the preparation of site master plans through to construction documents and implementation — critical for a project that must respond to the needs of both the environment and people. Currently, Patrick serves in a whole host of leadership roles in the region that include being on the advisory committee for Lansing Community College’s Landscape Architecture Program, as a Board Member of the Southeast Michigan Sustainable Business Forum, as a Board Member Emeritus of the Wildflower Association of Michigan, USGBC – Detroit’s Sustainable Detroit Forum conference committee, and as a guest lecturer on a range of topics including: sustainable sites and landscape design, natural systems restoration and management, and rainwater management designs. From 2007 to 2011, Patrick was the Project Development Co-chair for the Southeast Michigan Sustainable Business Forum. Chris is a licensed professional engineer in the State of Michigan and a LEED Accredited Professional. He currently serves as a Project Manager and Project Engineer at GHD and has experience with a variety of environmental projects. Chris’ professional experience includes Phase I and II Environmental Site Assessments, assisting with major environmental remediation projects throughout Michigan, Ohio, and Indiana, due diligence, site investigations and remediation, RCRA corrective action, brownfield redevelopment support, feasibility and pilot studies, and construction management and sustainability-related building evaluations incorporating USBGC LEED rating systems. He is an active member in GHD’s Sustainable Solutions Group (SSG) and was GHD’s primary contact with the United States Green Building Council. 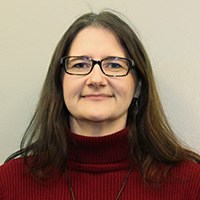 Chris is also a member of GHD’s PFAS Steering Committee, participates in numerous industry-led PFAS work groups, and is a participant in the ASTM PFAS Workgroup in Committee E50 on Environmental Assessment, Risk Management and Corrective Action to evaluate standards related to PFAS. He is a board member and treasurer of the Southeast Michigan Sustainable Business Forum. Chris holds a B.S.E. degree in Civil and Environmental Engineering from the University of Michigan and M.S. degree in Environmental Engineering from Vanderbilt University. Click Here for a PDF of SMSBF’s Bylaws.